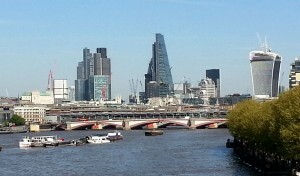 A new Savills report – Spotlight on London Infrastructure: Connecting Opportunities – has estimated that the cost of infrastructure necessary for London to keep up with its burgeoning housing demand is £95bn, including two Crossrail lines, extensions to the Bakerloo line, DLR and overground, some of the HS2 cost, road improvements, a new bridge and a new tunnel. 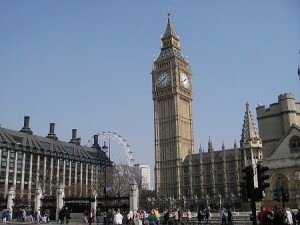 The same company has previously said that 50,000 new homes are needed in London alone each year to keep up with demand. The report suggests that, by better connecting boroughs further from the expensive centre of the city, 82% of the new homes required will be able to be constructed at around £700 psf, with a number much closer to £450 psf. The report suggests ‘innovative approaches’ will be needed to raise the funds for the new homes. It argued that retaining property revenue streams like stamp duty, land tax and business rates could make a ‘significant difference’ to the capital. In 2013, 42% of the £6.5bn generated from stamp duty land tax came from London. In addition, the Community Infrastructure Levy (CIL) has been touted as a success, although being non-compulsory has meant many councils still utilise S. 106 agreements to extract so called ‘planning gain’ from planning applications, which means only 2% of the funding for crossrail is anticipated to be CIL funded. Crossrail itself is likely to be the focal point for a number of new homes along its route. It is estimated to bring 13,000 affordable homes to London and has been stated as having ‘a significant part to play in boosting housing numbers’, with 61,000 new homes in total planned along the Crossrail line. It is not just numbers that Savills have considered; they also identify within their report the need for holistically designed new communities to deliver the homes necessary. The results of their research indicate that what homeowners typically value most about their homes is not the building in which they live, but a number of other factors external to the property – from safety to greenery, amenities to neighbourhood quality. “…placemaking is paramount in regeneration schemes which can’t rely on the services and amenities of established neighbourhoods.